Following the enactment of Act 16 of 2016, also known as the Medical Marijuana Act, the use of certain forms of marijuana (termed “medical marijuana”) has become legal in Pennsylvania for certain serious medical conditions. This does not necessarily mean that school law in Pennsylvania permits the use of medical marijuana by staff or students. 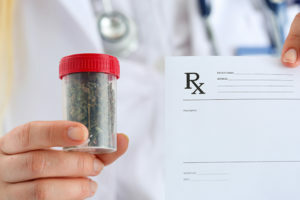 The forms of medical marijuana acceptable under the Act are: pill; oil; topical forms, including gel, creams or ointments; tincture; liquid; and a form medically appropriate for administration by vaporization or nebulization, excluding dry leaf or plant form. However, despite legalization of medical marijuana on the state level, marijuana in any form continues to be a Schedule I controlled substance under Federal law. Possession and use of marijuana continues to be a violation of Federal law. In addition, various Federal laws, including the Every Student Succeeds Act (ESSA), require educational entities receiving federal funding to maintain a drug-free environment. Consequently, a violation could risk federal funding. While use and administration of medical marijuana on school property may be prohibited, schools in Pennsylvania can allow parents to administer the drug to their child while off school property. Accordingly, a parent or guardian may provide a Safe Harbor Letter for their student to the principal, and may be permitted to take their student off of school property in order to administer the medication. If the parent does so, he/she also may be required to notify the school nurse that the medication has been administered. School administrators face more challenges than ever before, including interpretation and implementation of the medical marijuana laws in Pennsylvania. Raffaele Puppio’s school lawyers have decades of experience counseling entities throughout Pennsylvania and particularly in Delaware County. If you are facing issues regarding the use of medical marijuana in a Pennsylvania school, contact our education lawyers. We are here to help.